The German carmaker is thinking of turning its divisions into legally separate entities. Engineering group Siemens did that with its healthcare unit, which it plans to list. Carving out Daimler’s trucks could unwind a long-standing conglomerate discount of perhaps 30 bln euros. Factory workers inspect cars on the assembly line at Daimler's Mercedes factory in Kecskemet, Hungary, April 29, 2016. Daimler is reviewing its corporate structure and may turn individual divisions into legally independent units, the company said on July 26. The German truck and car maker’s finance director, Bodo Uebber, said the company didn’t envisage a break-up. Daimler’s operating profit rose by 15 percent to 3.7 billion euros in the second quarter of 2017, below the average forecast of 3.8 billion euros in a Reuters poll. 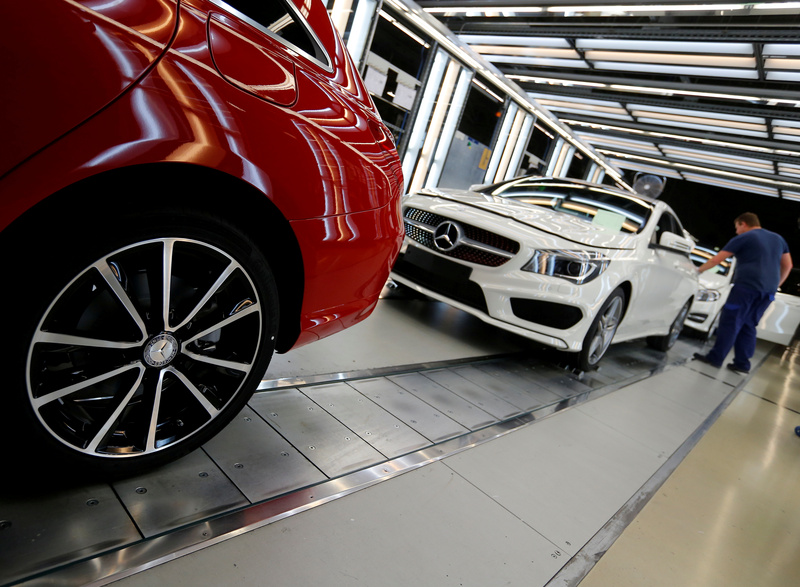 Mercedes-Benz Cars sold 595,200 vehicles, boosted by a 28 percent rise in demand in China. The unit’s operating margin improved to 10.2 percent from 6.4 percent in the year-earlier period, mainly due to sales of a new E-Class limousine. The Stuttgart-based company lifted the outlook for its trucks and vans divisions, saying it now expected operating profit to reach prior-year levels for both businesses.